We recently completed a second-floor bathroom remodel. Our clients were expecting a baby girl and wanted to renovate the bathroom for their growing family that could be used for years to come. This Minnesota home was built in 1986, and the bathroom was original to the home. To keep this remodel budget friendly, we kept the existing bathtub, and removed and replaced everything else in the bathroom. We demolished the room down to the studs. To open up the space, the soffits above the vanity and bathtub were removed to allow for more head room and better lighting. After drywall was complete, it was time to put the finishing touches on the bathroom. The bathtub surround was tiled with a porcelain tile with two small custom niches. For the floor we selected this fun gray hexagon floor tile. 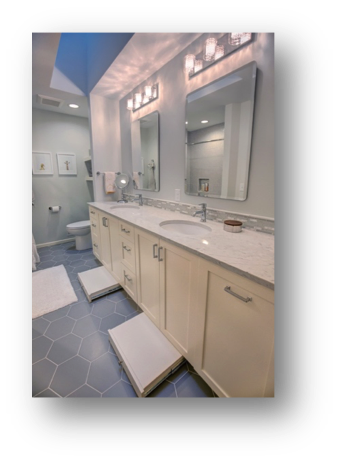 To keep the softness going throughout we choose a light blue/ gray paint for the walls and a soft white stone for the vanity, and carried the accent niche tile over to the backsplash. We wanted to keep with the flow in the house, and chose a matching millwork color from the remodeled home for our cabinetry and trim in the new bathroom. To top it off, our client has great design eye and completed the space with adorable décor. We disbursed the budget wisely by selecting budget friendly fixtures, and spending more on the custom cabinetry and quartz for the countertop. 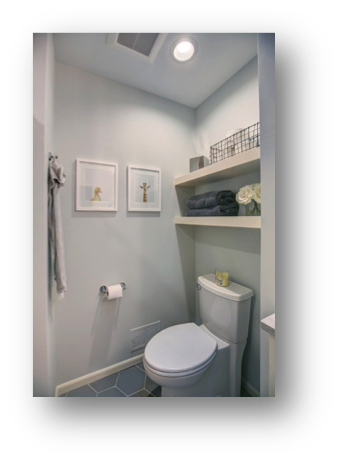 Bathroom projects can be costly…so by planning ahead and having professional help with the design, you can be confident in making decisions that create value while working with your budget. At Excel Builders we provide an experienced MN remodeling team to work with you. This process starts with the first phone call and carries throughout the project. We love creating new spaces with our clients! 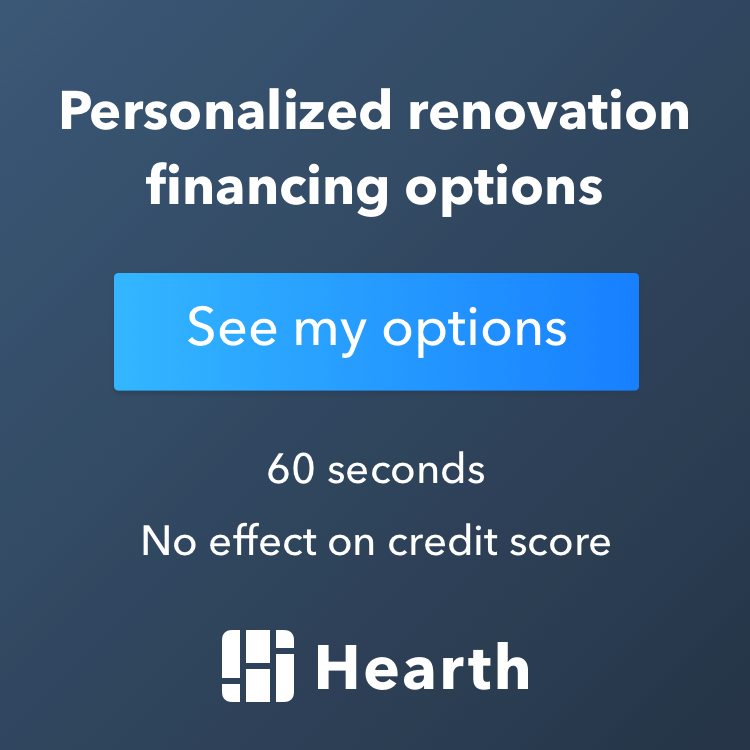 Give us a call today at 612.524.5804 to discuss your remodeling needs.